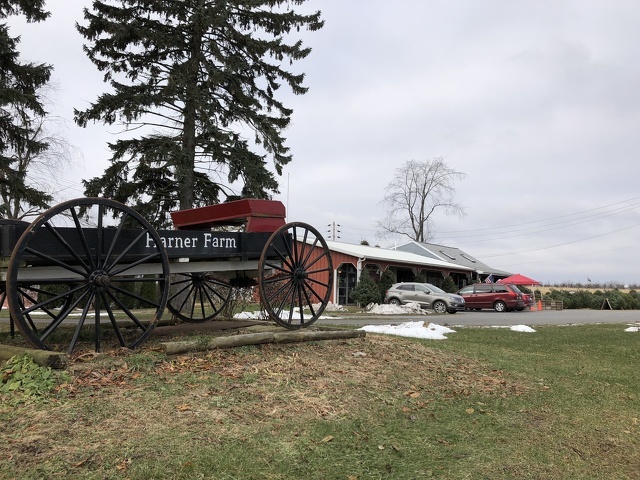 STATE COLLEGE — After concerns about zoning changes, Harner Farm has sold part of its property and plans to downsize its operation. But don’t worry, the State College institution at West College Avenue and Whitehall Road will keep its farm stand, and all of the fruit, produce and cider that residents love will still be available there. Dan Harner’s parents bought the farm in 1945 and over the years it has served as a bastion of the good old days of farming in the State College area with its shop and ice cream stand. Harner said he and his brother took over at the farm after his parents were ready to retire and he is saddened to see some of the land gone, but he is excited about the future of Harner Farm and thinks it is heading in a positive direction. “It’s one of those things where this place has been here for a long time, so it’s a pretty big change, but I think it is just the nature of the growth of Centre Region. It is kind of hard to do the farming we do with all the traffic that is on West College Avenue, and kids riding bikes and jogging,” said Harner. With the changes, the farm will eventually move all the fruit tree production away from the highway, keeping less intensive produce near the roadway. Harner said they will start to focus on a “pick-your-own style” of fruit sales because finding fruit pickers in the area is a challenge, but they will still sell Harner apples and produce at the stand on College Avenue. The sale of 71.9 acres to Aspen Whitehall Partners LLC of Altoona for $5.6 million was completed on Nov. 16, according to documents from the Centre County Recorder of Deeds. The 71.9 acres includes the land on both sides of Whitehall Road. The market shop and three houses that surround the property that the family owns were not included in the deal. The Harners will still farm a 34-acre plot to the southwest, along College Avenue that borders the Russian Church of Christ. Harner said that apple trees are smaller these days and take up less land, so he plans to see production continue nearly as it has. Eventually, Harner will set up a production center on that parcel of land, but in the meantime they have a two-year lease agreement to farm and use the property near the market, so the corn maze will still be a go next fall, he said. The property owners plan to develop the plot across from Whitehall Road first, and he is unsure of the plan for the property to the east of Whitehall, so the two-year lease agreement may get extended after it expires. The family put the land up for sale in the spring of 2017. The Harners and Aspen Whitehall sought to rezone with a mix of commercial, R-1 and two-family residential (R-2). That request was denied in September 2017 after some community members and supervisors expressed concerns about the proposed 44 acres of commercial zoning, as well as the density of proposed R-2 zoning near existing single-family home developments. The new proposal brought forward this spring decreased the commercial zoning by 16.7 acres and removed the R-2 component entirely. Those changes came after Aspen Whitehall received feedback from the supervisors and had discussions with neighboring landowners. Those changes were approved in June.